Rethinking the floor and creating various planes in which to lounge is a concept that isn’t seen enough unless we are talking sunken living rooms or the like. 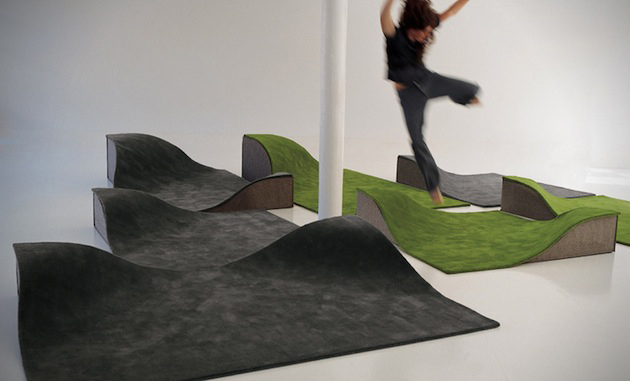 Barcelona, Spain based brand Nani Marquina creates interesting, quality rugs that take shape within the space. One of their great collections happens to be the “Flying Carpet” which brings a whole new dimension to rooms everywhere. 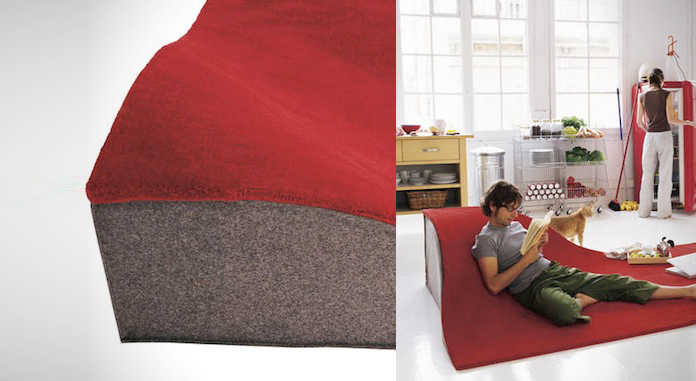 A great option for somewhere like a playroom that allows kids to sprawl out and lounge on a hand tufted wool carpet. 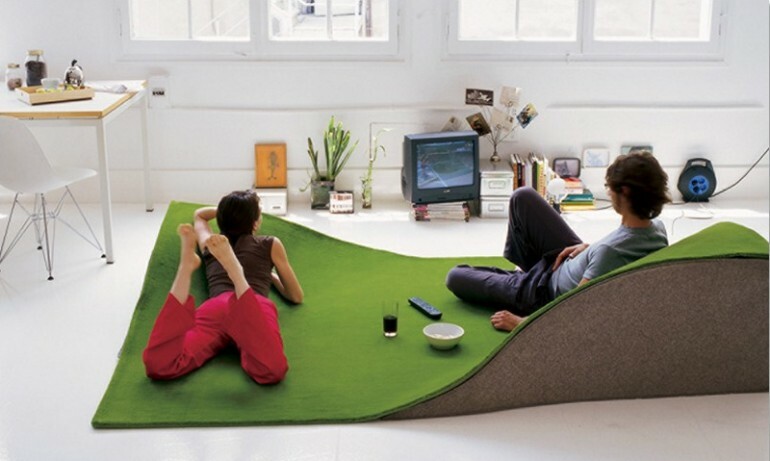 The various sized wedges create an undulating surface that is super comfortable for TV watching, reading and relaxation.